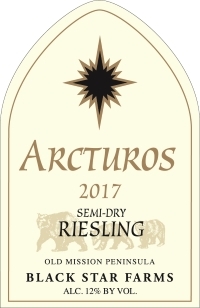 This Riesling is a favorite of winemaker Lee Lutes for it is the medium-dry style that lends a touch of residual sugar and a balanced natural acidity. These characteristics make this wine versatile and enjoyable to many different wine drinkers. Peach and apple aromas are followed by honey undertones. Fresh pear and stone fruit flavors combine with a touch of natural sweetness and are complemented by mild acidity in the finish. Thai or Indian cuisine, French and German classic dishes (where there is lots of cream or butter), or the umami-driven realms of charcuterie and aged cheeses. In the better vintages such as this there is a voluptuous depth of fruit flavor, synchronized with aromatics that evolve continuously, that make this wine so good as an aperitif and unparalleled with an enormous cast of food. It would be difficult to find any culinary creation that would not pair well with this Riesling. At your next gathering around the table, try a glass of this fine white wine and see if you do not agree; there is not a better variety for the pure pleasure of drinking with food. From Anonymous of ROYAL OAK, Michigan on 4/11/2017 . One of the best I've had. A crowd pleaser for sure!